This is the purple for which the Roman fasces and axes clear a way. It is the badge of noble youth; it distinguishes the senator from the knight; it is called in to appease the gods. It brightens every garment, and shares with gold the glory of the triumph. For these reasons we must pardon the mad desire for purple. Shug Avery, one of the main characters, supplies the title for The Colour Purple, the Pulitzer prize winning novel by Alice Walker. ‘I think it pisses God off,’ Shug says, ‘if you walk by the colour purple in a field somewhere and don’t notice it.’ For Shug purple is evidence of God’s glory and generosity. Last week, I drove past a local secondary school, it had been “purpled” – fascias, soffits, box ends, bargeboards, window boards, plus all signage. I noticed, Shug. I noticed. It, too, had fallen. I recalled a conversation had with a number of colleagues a while ago. A conversation on forced academisation and which particular schools were at risk of being “purpled”. ‘She deserves an education’: outcry as academy excludes 41% of pupils. The school is directly across the road from a council estate that we lived on for a number of years when I was a teenager. We attended the local Catholic secondary school down the road. A bit rough. In fact, a lot rough. Having said that, I will not name it. But it was. My wife and I, and so many ex-pupils that we bump into from time to time, laugh about it now. How we survived and took the ‘education’ we received there, moved on, and found our way in life. I know nothing whatsoever, really, about the purple Trust or individual schools attached to the Trust. More than that, I know nothing of the – no doubt – hard-working and dedicated members of staff that populate the schools under the Trust umbrella. ‘Standards’ and ‘outcomes’ are reported as good. Ofsted approve. The parents of the girl featured in the Guardian article say that their daughter is not violent, does not use bad language, but can be defiant. On reflection, that is probably a fair description of me at that age. I remember our Head of Year once describing me as “truculent”. My mates and I scurried off to the library at break time to look the word up. Honest. This actually happened. No way, Miss Hunter! (there’s a clue). No way. I had and still have an aversion to arguing or fighting. And so, Miss Hunter, with respect, I am not accepting ‘aggressive’ either. My poor mother, alone (my father had passed away), made the long walk to the school. All the way down Cargo Fleet Lane (there’s another clue). The chat was had. My mum would not have me as “truculent”, either. My mum achieved a First Class degree at Newcastle University, in the classics. One of only four women on the course. As was typical in the day. Actively encouraged and supported by her own distinctly working class mother, as were her six siblings. Mum is no mug. She did, of course, support the school. She stood with Miss Hunter and expressed her disappointment in me. She expected more. They both did. I was not excluded. Of course I wasn’t. How ridiculous would that have been! I was lucky. Engagement with school held no fear for my mother. On another note, I remember her challenging my poor teacher as he praised my creative ability in English. ‘Clouds jockeying for position in the sky…’ Get me!! My mum? “But what about the grammar? Do you not teach grammar?” Picture the scene. Those were the days when grammar very much took a back seat. Mum was right, of course. She was right to challenge, too. Research suggests it is the wealth and inclination of parents, rather than the ability and efforts of the child, that have the most bearing on a child’s educational success today. If you’re a working class child, you’re starting the race halfway round the track behind the middle class child. Middle class parents do a lot via extra resources and activities. There it is, the class word. The Working Class, edited by Ian Gilbert, is probably the most edifying piece of work I have read this year. Dave Harris, author of Brave Heads, writes the foreword. He declined an offer to contribute to the book, refusing to ‘rally opinion around an outdated term.’ Rather, he says, it is about disadvantage, pure and simple. I risk, here, lifting Dave Harris’s words, over-simplifying and misrepresenting his important message. I would read it yourself (the Foreword). I would also read the book if I were you. It is good. Extremely good! Purple was the colour of power. Purple’s special status wasn’t confined to the West. In Japan a deep purple, murasaki, was kin-jiki, or a forbidden colour, off-limits to ordinary people. Bourdieu argues that schools draw unevenly on the social and cultural resources of members of society. Bourdieu finds that individuals of different social locations are socialised differently. This socialisation provides children, and later adults, with a sense of what is comfortable or what is natural (he terms this habitus). Bourdieu suggests that differences in habitus shape the amount and forms of resources (capital) individuals inherit and draw upon as they negotiate various institutional arrangements (fields) in the social world. Bourdieu argues in relation to education that schools recognise and reward the attitudes and practices of the privileged and it is primarily the types of parental participation practised by the white middle classes that are valorised and represented as normative (Crozier and Reay 2005). Further, Bourdieu’s theorisation of social and cultural capital highlights how existing structures and institutions perpetuate the system and minimise change. In her Unequal Childhoods (2011), Annette Lareau employs Bourdieu’s theoretical model, focusing on time use for children’s leisure activities, language use in the home and interventions of adults in children’s institutional lives. Lareau’s study is useful in that it focuses on families rather than just at children or parents. Lareau’s claim for her work is that it ‘identifies the largely invisible but powerful ways that parents’ social class impacts children’s life experiences’ (p.3). Further, in line with Bourdieu’s theory, Lareau suggests that for working-class and poor families, ‘the cultural logic of child rearing at home is out of sync with the standards of institutions’ (p.3). Lareau speaks of the deliberate and concerted cultivation of children and their leisure activities that occurs in middle-class families, ensuring that their children are not excluded from any opportunity that might contribute to their advancement. She finds that middle-class children are trained in “the rules of the game” that govern interactions with institutional representatives. Lareau says that not all families have found ways to successfully connect with schools and not all schools have empowered families. One of the roots of inequality is inaccessibility of school and community resources for some families and their failure to participate in ways that teachers expect because they lack the social and cultural capital of middle-class families (Lareau 2011). Another blow being inflicted on working class children is through the way they are treated in some super-strict schools, argues Reay. She says some academies operate on the principle that working class families are chaotic and children need school to impose control. There’s lots of lining up in silence, standing to attention when an adult comes into the room, and mantras. I think it’s about disrespecting working class young people and their families. I am certainly not saying that it was socially or culturally acceptable for us working class lads to steal or behave in a truculent (I will both use and dispute this choice of word) manner. It was not. There were consequences, at home. Miss Hunter got that. She respected the families who chose to attend the school she served. Equally, Miss Hunter took the time to build relationships, get to know, and work through issues with heads of families such as my magnificent mother. What I am suggesting is that schools set aside time and space to reflect on their approach to family engagement and family empowerment. Consider the key concepts of power, habitus, capital (social, cultural, economic) and build boundary spanning relationships between you as an organisational field and families, accordingly. If the school I attended was a purple school and my mother lacked the talked of social and cultural capital to the degree that a disconnect existed between our family and school what difference would that have made to me, my sisters, and my brother? I am simply stirring it up a bit. Without a hint of truculence. And if anyone out there working for the purple trust reads this I would very much welcome your feedback and thoughts. Exclusion never was the answer. It is not the answer now. Families and schools together can tackle this. It is my opinion that we schools need to shift our position on this. What is your view? Bourdieu, P. and Passeron, J-C. (1977) Reproduction in Education, Society and Culture. Translated by Richard Nice. Beverley Hills: Sage. Crozier, G. (2000) Parents and Schools: Parents or Protagonists? Stoke on Trent: Trentham Books. Crozier, G., and Reay, D. (eds) (2005) Activating Participation: Parents and Teachers Working Towards Partnership. Stoke on Trent: Trentham Books. Gilbert, I (ed.) (2018) The Working Class. Carmarthen: Independent Thinking Press. Lareau, A. (2011) Unequal Childhoods: Class, Race, and Family Life. Berkeley and Los Angeles, CA: University of California Press. With this one statement, Simon, you have succinctly captured the nexus of the issue. The culture of schools must be altered to be accepting and more importantly, nurturing to families who are not middle-class and for whom the navigation of “school” and all that connotes, is both foreign and challenging. Then, maybe then, this issue of exclusion (suspension and expulsion in the US) will begin to dissipate. I am humored of late our new national focus on chronic absenteeism and the prevailing attitude that we, as educators, do not “control” (whatever that means) attendance. The argument goes on…families control attendance not schools. Ugh. I could go on ad nauseam about that one! This comment could quickly turn into a diatribe of grievances, perhaps it already has, but I will say this: when we finally realize that engaging and building relationships with EVERY family is critical to resolving long-standing issues like exclusion and absenteeism, we will have finally landed upon the true culture-changing solution and not, again, another quick fix to avoid devoting time and energy to what really matters. Thank you for your thoughts, Steve. Always appreciated and so valuable to have an opinion from the US, especially from somebody who shares the same passion for FULL engagement of EVERY family in all school communities. You are so right, once the penny drops and culture shift prevails we will all stop treading water and move forward, together. This is such an important issue in the US as well. As you may or may not know, minoritized populations (especially boys) are more likely to be suspended than any other population. After a student is suspended, they are more likely to gain a reputation and be suspended again, and slowly there becomes a disengagement with school. A few years ago there was a really interesting article in Educational Leadership called 5 Ways We Provoke Misbehavior. Many teachers and leaders don’t understand how some of our teaching methods provoke issues with our students. They work as triggers for trauma. 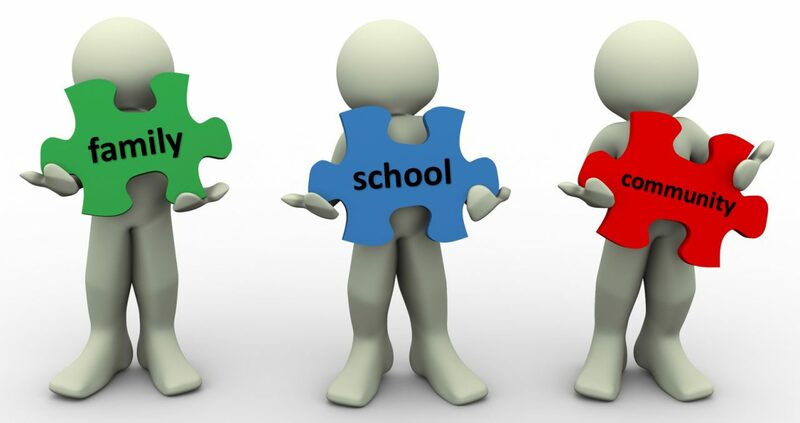 And of course, well represented in your blog, is how we also have an implicit bias in schools towards some families based on their last names or zip codes, all of which can follow them from year to year. Thanks for continuing an important conversation Simon. Thank you for taking the time to give your thoughts on this, Peter. Why, then, in the classroom, do we often view our students’ misbehavior only as a problem? Is it fair or accurate to say that misbehaving students possess “bad attitudes” when they’re responding to bad experiences? What happens to us, to our students, and to our communities when we characterize student reactions to negative experiences as “inappropriate,” “disruptive,” “defiant,” “insubordinate,” “disobedient,” or “destructive”? What if the real problem is the context around the misbehaving student—a context that includes us? The final paragraph I will reproduce here, for it speaks to the idea of exclusion and our debate in a way that we would all do well to reflect on and, more important, aim to model our practice around. At the end of the day, students will want to learn with us when they’re confident they won’t feel cruddy in the process. Engaging their resistance and analyzing how we may have provoked their misbehaviors will help us take advantage of opportunities to learn about their perspectives, appreciate their experiences, and improve our practices. This approach will produce far more learning for students and teachers alike than punishments and exclusion ever will. Admitting our provocations does not mean lowering standards or giving up control; it means giving up the belief that our current standards and level of control should remain undisputed. Likewise, recognizing that we sometimes provoke students’ actions doesn’t mean we have to accept their misbehaviors. But it does mean we have to ask challenging questions about our role in producing the behaviors. Tricky as it may sound, we need to find the middle ground between demanding students comply and complying with student demands. This requires us to recognize that student misbehavior is occasionally legitimate, particularly when we are the ones who provoked it. Thank you so much for this, Peter. You never fail to add something special and insightful. And thank you to Eric Toshalis for sharing his ideas through the article. Thank you for nudging me into action, Simon. I came up with this. It seems to me that deliberately taking the attitude/stance of collaborating with the learner (whether child, colleague, parent or student) in the making of meaning is the secret to successfully educating. We may have subject knowledge and may or may not have planned the course/school ethos brilliantly but we cannot possibly see every angle – ergo the wise owl! We need to listen to and look at other frames of reference than our own. Can we recognise and share our delight in opportunities for learning when they arise? Can we rejoice with the learner as and after they experience transformation? Can we empathise with them when they fail – even (in both cases) when we do not feel exactly the same or agree entirely? We need to learn to be better at this! This is especially true of learning to better respect and interpret other people’s voices and behaviour! Education is about self-transformation and that should include the ‘me’ in everybody. We have to get rid of the idea that all knowledge is fixed. Even when it appears to be so, there are different ways of interpreting and proving knowledge. There are different successful ways of being a school and a community. Yes we need national frameworks, but then we need to listen intelligently to criticisms and successes and acknowledge justifications when they are evidenced and explained. We need to be constantly drawing qualitative conclusions appropriately and intelligently and checking them collaboratively. Beautifully put, Jen. As Eric Toshalis says in relation to schools and relationships, in the article signposted by Peter, ‘we’re all part of complex relationships in complicated institutions, both of which don’t always function optimally for everyone’. Perspectives and contexts must be accounted for, as must individual proclivities. Interesting how Eric discusses the ambiguities of behavioural expectations codified in behaviour policies. He suggests that students know that being successful in teacher-defined spaces—and being allowed to stay within them as opposed to being sent out—depends on their regular deference to sometimes-alienating cultural norms. And forced deference is a recipe for resentment and resistance. You can see how this pans out, and how it can lead to exclusion/expulsion from the classroom, and ultimately school? How do we best prepare teachers to read behaviour rather than react? Fascinating topic. Again, thank you so much for your valuable input.